It's Monday morning, the sun is out and I am so excited to announce the winners of the final giveaways for Mama's Month! Myra G. and Shelly H.L. 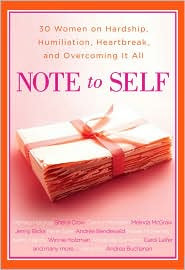 are now the proud owners of autographed copies of Andrea Buchanan's Note to Self, a collection of inspired and inspiring essays, both of them entering through Mama's Facebook page. 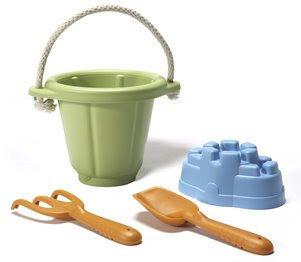 And Becky, you're the winner of the sand-tastic Sand Play Set from Green Toys, through your comment right here at Mama's Cup! May it bring you and your little one(s) hours of safe and eco-friendly fun in the sun! Thanks to everyone for making the last month a fun and fabulous celebration of motherhood. Mamas make the world a better, cleaner, safer and more interesting place. Never forget it.